WAIST HIGH: A Master Class With Gary Kemp. A Master Class With Gary Kemp. Gary Kemp has been invited to host his own songwriting Master Class event at the British Music Experience at The O2 on March 28. A limited amount of tickets are available for this very special, intimate event which will see Gary talking about his career, performing a few classic songs acoustically and reading from his 2009 autobiography I Know This Much: From Soho to Spandau. This event is in support of the British Music Experience's charitable mission to advance the education and appreciation of the art, history and science of music in Britain. Says Gary: "Songwriting in the UK is something we should be proud of. To get the chance to talk at the BME amongst the years of history gathered there will be a very proud moment. The exhibition shows the history of British music, something that I am very honoured to have been a part of for well over thirty years." (Waist High side note: Gary wrote every song on Spandau Ballet's albums True, Journeys To Glory, Diamond, and Through the Barricades). 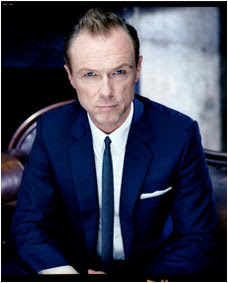 Tickets for A Master Class with Gary Kemp go on sale tomorrow.